Post Tube 50D x 1.5mmW x 330mmL Complete with fitted End Caps Pack 25 Pack of 1 Easy to use reusable end caps approved postal packaging (no bulk surcharge) supplied in various lengths and diameters. 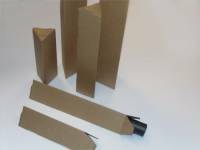 Postal Tube A2 50mm 460mm Long + End Plugs 1.5mm Wall Pack 25 Pack of 1 Easy to use reusable end caps approved postal packaging (no bulk surcharge) supplied in various lengths and diameters. Postal Tube A1 50mm 630Mm Long + End Plugs 1.5mm Wall Pack 25 Pack of 1 Easy to use reusable end caps approved postal packaging (no bulk surcharge) supplied in various lengths and diameters. Postal Tube A0 50mm 885Mm Long + End Plugs 1.5mm Wall Pack 25 Pack of 1 Easy to use reusable end caps approved postal packaging (no bulk surcharge) supplied in various lengths and diameters.